The question, "What if they Gave a CES and Nobody Came?," which headlined my As We See It from mid-2016, was echoed by a similar title on Jon Iverson's opening blog for our coverage of CES 2018. 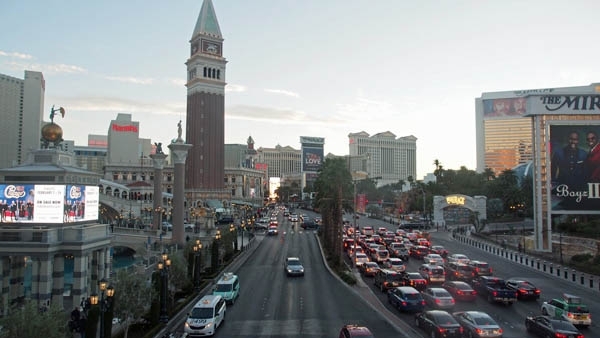 Yet hopes and fears that our industry's increasingly limited presence in the Venetian would sound the death knell for "high performance audio" at CES do not reflect the experience of those who this year chose to either exhibit or wander hallways and eateries in search of dealers and distributors. 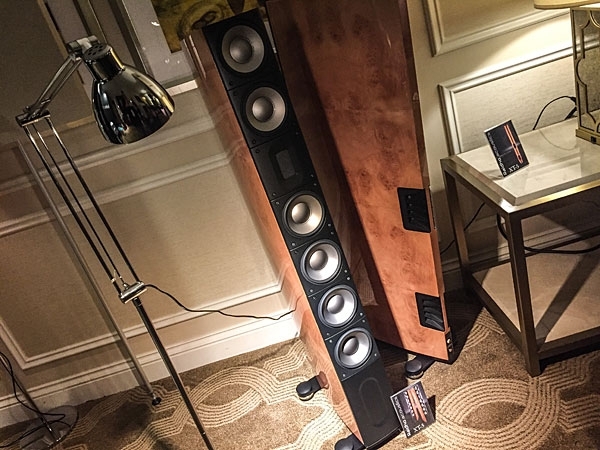 When Jason Victor Serinus visited the Bluebird Audio room on the Venetian's 35th floor, he mentioned that Chord was demonstrating its Blu Mk.2 CD transport ($11,788) along with the Dave DAC that I reviewed and was impressed by last June. I chatted with Chord's digital guru Robert Watts (above in photo) about the new transport and he mentioned that it incorporated his latest WTA (Watts Transient Aligned) digital filter with a million taps! (The more taps there are, the closer a DAC can reproduce the timing information in the reconstructed analog signalsee my DAVE review for why Robert feels why this should be so.) I was puzzled, as a digital reconstruction filter belongs in a DAC, not a transport. 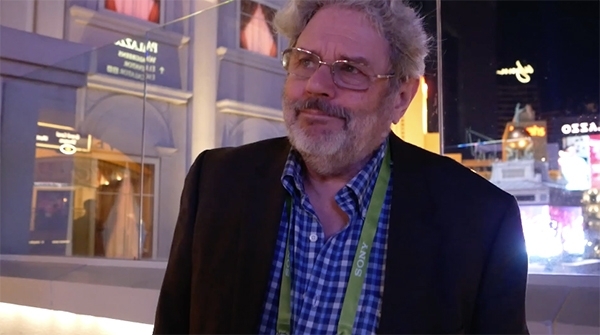 I was working on our video coverage of the 2018 CES with our resident videographer Jana Dagdagan, and as video is such a time sink, I wasn't able to visit as many rooms as I usually do. But one room I managed to visit and that stood out when it came to sound quality was Constellation's. 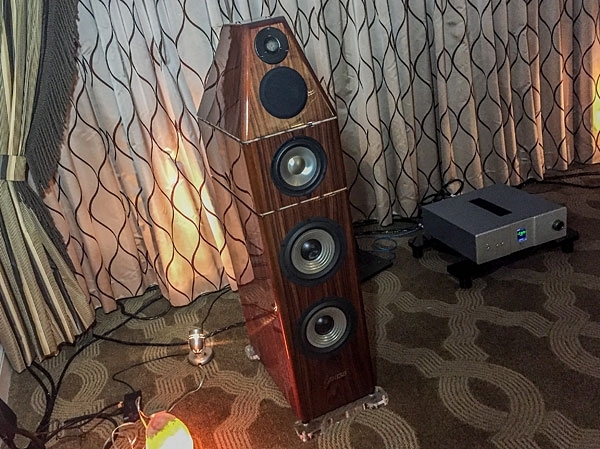 "This is the evolution of our Sonja series," Explains YG Acoustics senior account executive Kerry St. James. "This follows the Sonja 1 series and the 'dot' indicates how many modules there are in the model. 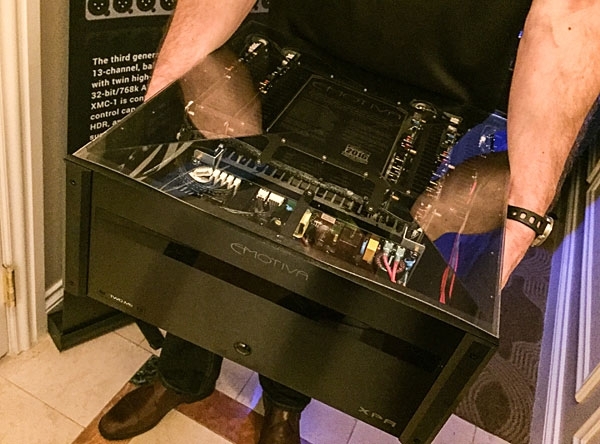 So this is a Sonja 2.2 (he points to the demo in the room) meaning it is the second series and has two modules. The 2 series is available as one module or expanded into three modules, the Sonja 2.3." 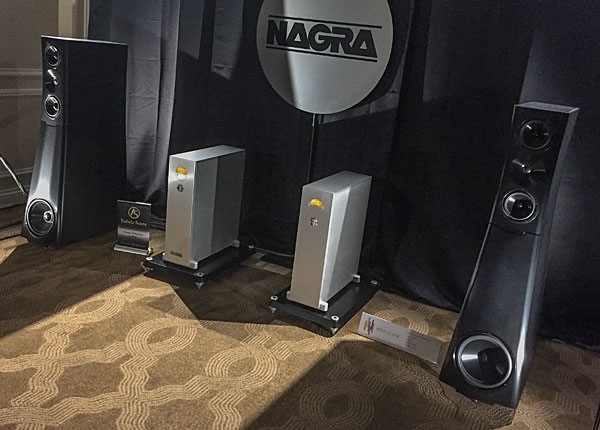 HiFiMan had two new products on display this year: one for the budget-minded, and one not. First, for the entry level, is the new Sundara planar headphone which will retail for $499. 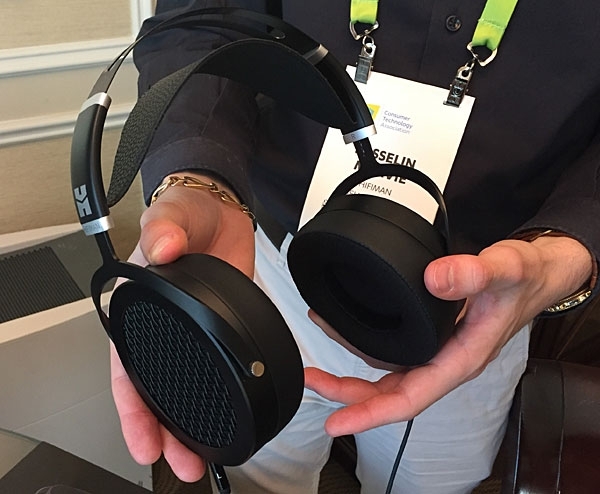 Josselin Marvie from HiFiMan explains that "We spent some time designing this headphone to be more reliable and comfortable, so we have a new headband design which is more lightweight as well. We also have new cups, and everything has been redesigned to make the headphone last longer." "The 5 Series stared with Arnie Nudell in 1993 and the Genesis V," says Gary Koh, from Seattle's Genesis Advanced Technologies. "Then there was the G500 and then the G501, G5.2, G5.3 . . . Now I've given up numbers and we have the Genesis Maestro." Retail price is $30,000 a pair and they are available now. 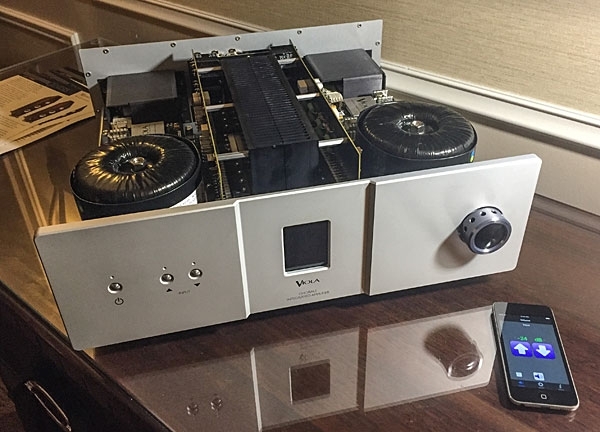 Paul Jayson, president of Viola Audio Laboratories, New Haven, CT was on hand to demo the company's new Chorale Integrated Amplifier. Price is still to be determined, says Jayson, "but we are looking at around $19,000, and plan on shipping in March." 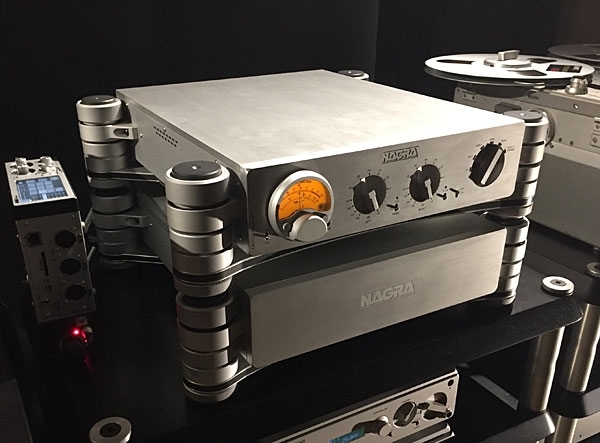 Swiss audio company Nagra won an Innovation Honoree award this year for their ingenious motorized volume control design in the tubed HD Preamp. 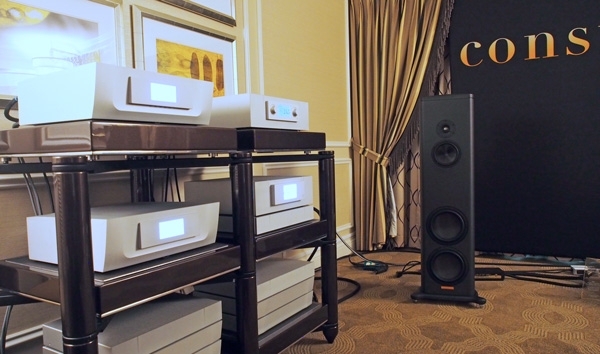 René Laflamme, based in Montreal himself, describes the product: "The preamp is two channels of mono in a single chassis. There are two Super Cap capacitor power supplies, two independent circuits, and each channel has a single triode input stage featuring a NOS (new old stock) Mullard tube hand-selected by Nagra." 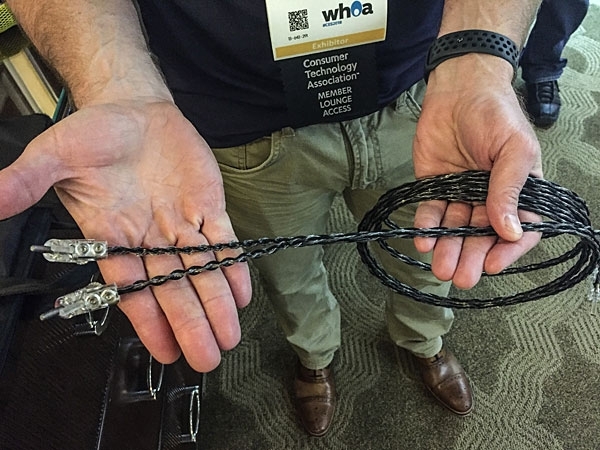 There was a brief back and forth as to whether they wanted to release information on the new cables (seen above in prototype form), but eventually Ray Kimber said yes. Kimber's Lonny Gould described these as "a carbon-infused eight wire cable." No pricing or release dates are set yet. Arcam's Scott Campbell was running through the new lineup of HDA products starting with the Integrated Amps. "This is the start of our new 2-channel range. The Player and SA10 are each $1,000 and the SA20 is $1,300. Both amplifiers are new for us since this is the first time we've put digital inputs on the back. 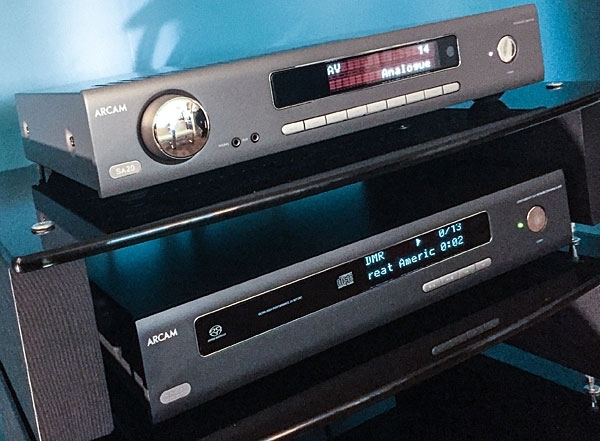 We've taken our experience with how to tackle digital noise in our AV receivers and put that knowledge into how to do that properly in a two-channel amplifier." Gorgeous metalwork award goes to Tom Vu's Triangle Art display and especially the Master Reference Turntable ($39,900) seen in the photo above. 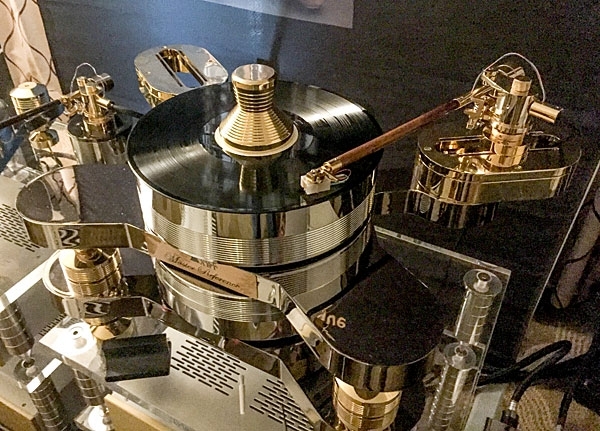 Vu is based in Memphis TN, and said that the show marks the debut of the Master Reference Turntable's little brother, the Maestro (shown below), which retails for $7,500 and is available now. Emotiva's new DR series (as shown in the above photo) is a configurable amplifier that can go from one to three channels. 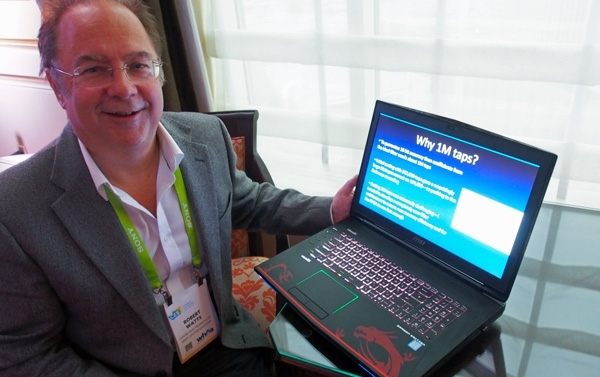 "These are capable of up to 600 watts per amp module," says the company's Damon Steele. "However due to how the power supply works, as you add more modules the power drops a bit. So with two in the chassis, they run at 550 watts each. If you do three, you get 440 watts per channel."